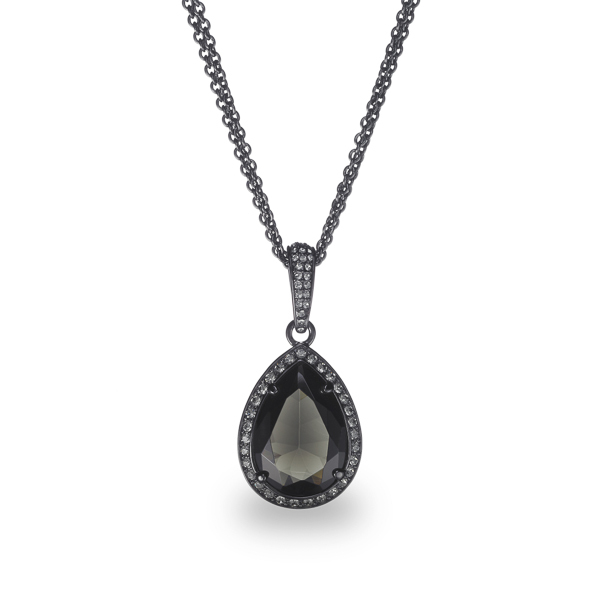 Description: In this truly stunning eye-catcher piece, the tear shape black diamond color glass stone is surrounded by crystals and suspended from a crystal embellished bezel. The black rhodium plating and double chains give this icon a modern feel while she was inspired by vintage victorian Titanic era styles. Enter Quantity for N-AE009-BLK to add to your shopping cart.